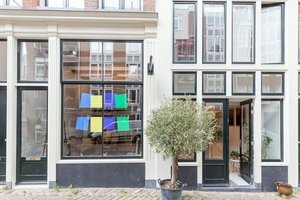 This bohemian space in the bustling area of Amsterdam East is perfect for brands looking to host a Art Event, Pop-Up Store or Private Event. 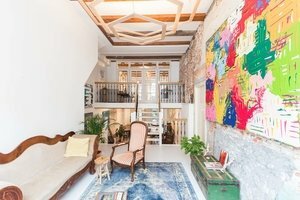 Housed in a inviting building, this bohemian space has an authentic feel. 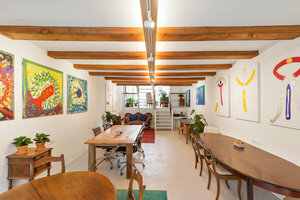 With its large windows this space is filled with a radiant light. The interiors here are tasteful with both white and exposed stone walls and polished concrete floors. This space offers basic amenities including flexible furniture and can accommodate a variety of pop-ups. 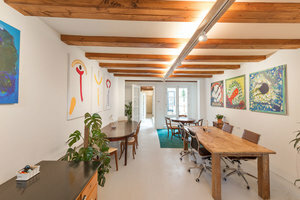 This unique split-level space is situated in a prime area of Amsterdam East close to the Magere Brug. It is an amazing space to host creative pop-ups, private events and launch events.